Barcode: 4-071-000/7. 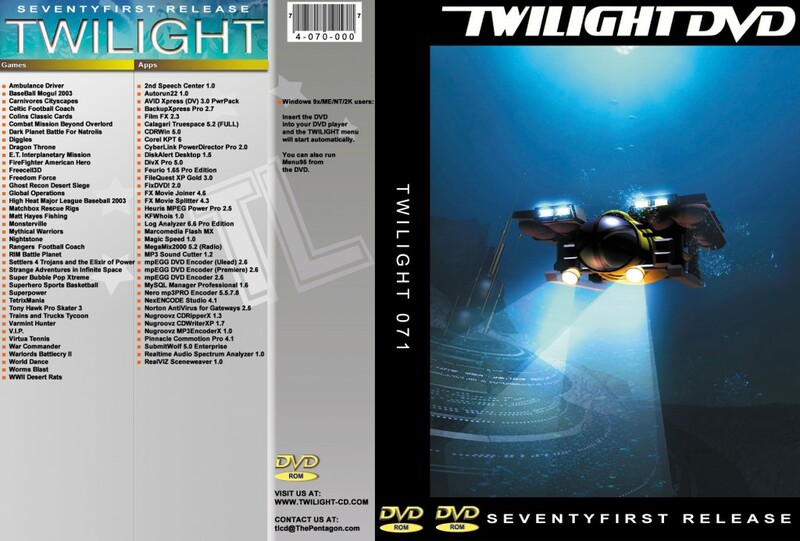 Windows 98x/ME/NT/2K users: Insert the DVD into your DVD player and the TWILIGHT menu will start automatic. You can also run MENU95 from the DVD. Visit us at www.twilight-cd.com Contact us at: tlcd@thepentagon.com.